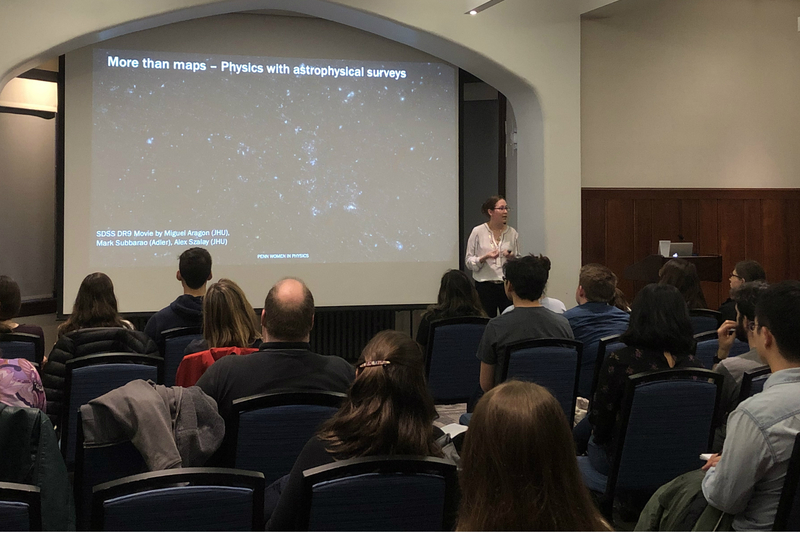 First-year student Jen Locke from Ambler, Pennsylvania, presented her work from the lab of Masao Sako, an associate professor and undergraduate chair of the physics and astronomy department, on visualizing new planet candidates located in the Kuiper belt. Next summer, Locke will work on developing a search strategy for finding new objects in the LSST database, a project that will likely involve Willman to a certain extent. Junior Alex Ulin from Los Angeles talked about her NASA internship on the flower-shaped starshade, a complex foldable structure that will make it easier to take pictures of potentially habitable planets that are difficult to visualize because of the brightness of the sun. Ulin, who wants to study materials science after graduation, worked on how to cut the nanometers-thin sheets of metal so they can cover the 20-meters-wide, origami-like structure as precisely as possible. Academic life at Penn is unparalleled, with 100 countries and every U.S. state represented in one of the Ivy League’s most diverse student bodies. Consistently ranked among the top 10 universities in the country, Penn enrolls 10,000 undergraduate students and welcomes an additional 10,000 students to our world-renowned graduate and professional schools. 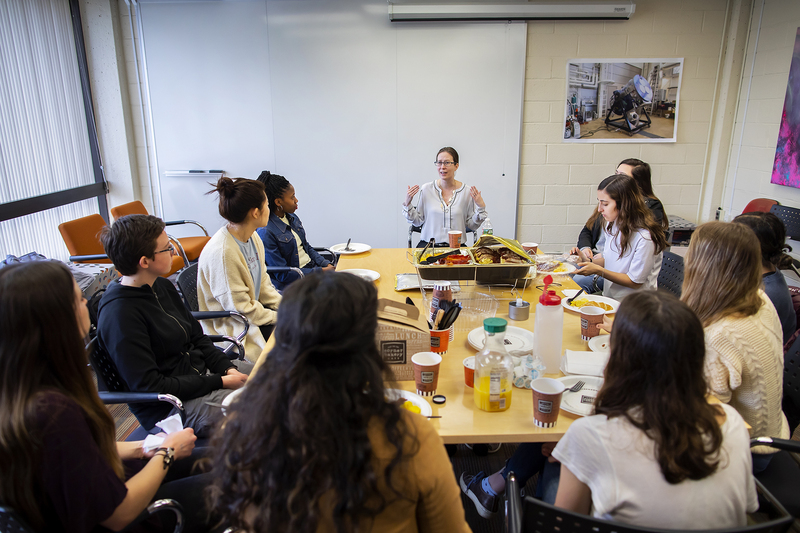 Penn’s award-winning educators and scholars encourage students to pursue inquiry and discovery, follow their passions, and address the world’s most challenging problems through an interdisciplinary approach.